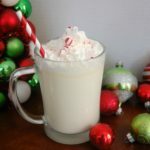 Irish Elf Slow Cooker Cocktail - Who Needs A Cape? 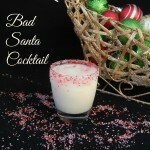 Ready for a fun holiday beverage for the adults. 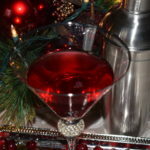 Give our Irish Elf Slow Cooker Cocktail a try! 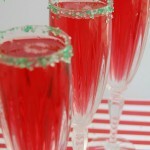 Great for Christmas parties! So a few things. 1 I think we all know I love a good cocktail but refuse to drink the same thing every day. 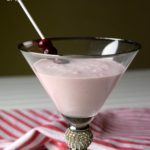 2 – I love a cocktail with a fun name. and lastly 3 – my slow cooker is my best friend. Odd list? 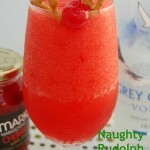 Maybe, but I turned these 3 things into an amazing new cocktail – meet the Irish Elf! Keep reading you’re going to LOVE this! I did have a little help with getting the Irish Elf into place. Have you guys heard of Drizly? well if not go check them out NOW Drizly.com is just amazing. It’s my new favorite thing (to add to my list now I have 4!) What does Drizly.com do? Well, you order liquor and they deliver it. You guys – it’s like getting food delivery. My life just got that much easier! 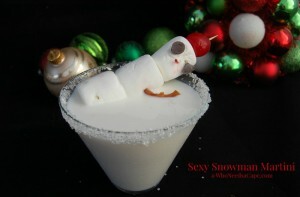 So thanks to Drizly.com for providing the Jameson (Right here on their Website) featured in my Irish Elf! I just love Christmas and I LOVE to drink my way through it (this would be a great time to say we – Drizly.com and Who Needs a Cape? encourage responsible drinking!). 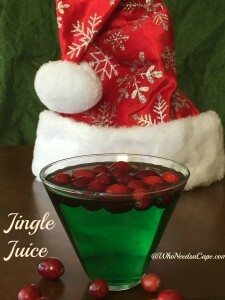 Nothing wrong with a great themed cocktail for a holiday party though right? 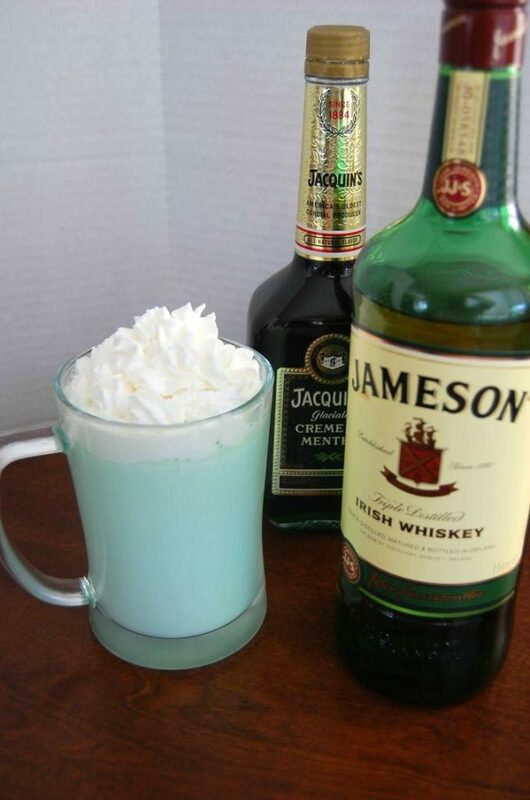 When I have my family over I usually pick one fancy drink (like the Irish Elf) and serve it among other easier things. It just sets a great tone for the party. 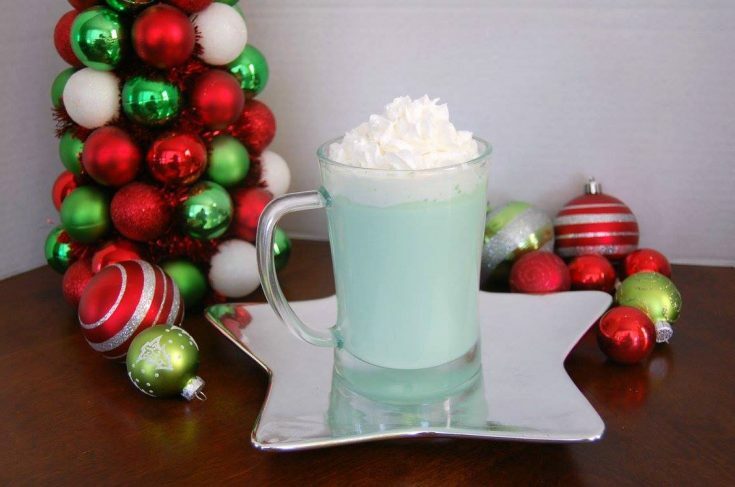 Makes everything festive and bright – and isn’t that what we need at the Holidays??? 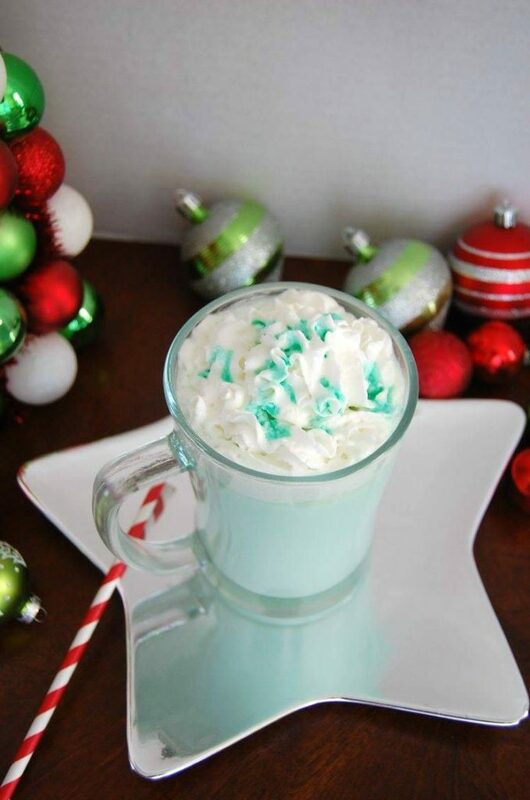 One more reason to make a batch of Irish Elves? (I think that’s the plural!) You make it in your Crock Pot. NO REALLY! So you have it hot and fresh all night long! And you can double this if you’re having a large gathering! Who’s your favorite Mixologist now??? Be sure to follow Drizly.com on Facebook and on Instagram. You’ll be ordering in No time! 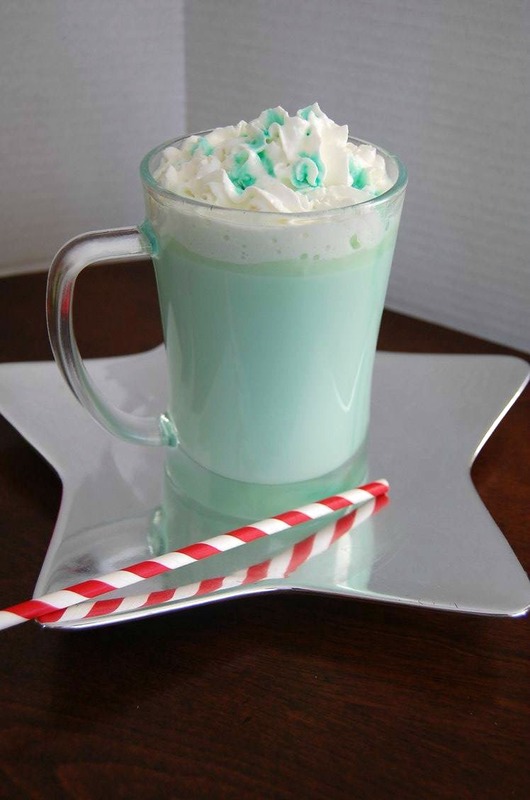 What is the green drizzle on top?